Maybe this will raise your spirits. 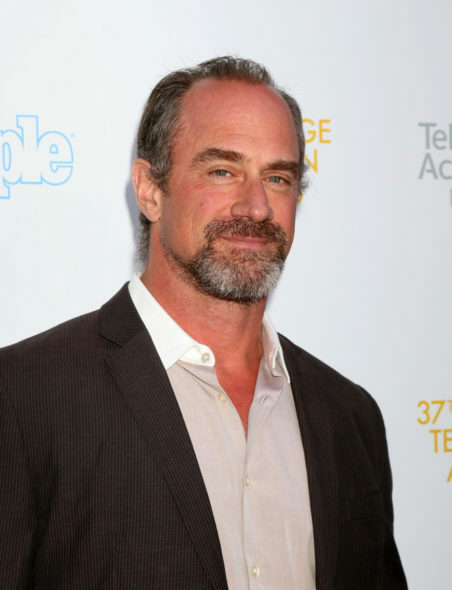 Deadline reports Chris Meloni has landed the male lead role in the Happy! TV show pilot at Syfy. Happy! is a television adaptation of Grant Morrison and Darick Robertson’s graphic novel. Morrison and Brian Taylor are writing and will executive produce with Neal Moritz, Pavun Shetty, and Toby Jaffe of Original Film. Taylor will direct the pilot. Meloni is also executive producing the pilot. His manager, Bill Butler, will produce. Once a rock star detective for a major metropolitan police force, Nick lost it all. Now he’s a broken, down-and-out hired killer who makes just enough money to support a steady diet of booze, drugs and sarcasm by carrying out hits for the mob. After one hit goes wrong, his life is forever changed by a tiny, relentlessly positive, imaginary blue-winged horse. What do you think? Have you read the graphic novel? Are you a Chris Meloni fan? If Syfy orders the Happy! TV series, will you check it out? Let us know, below. The show, and of course Chris Meloni and Happy are great. There is so much to this show that I have watched each episode 3 times just to get it all. Why???? Imaginary characters never work. Just ask Jenna Elfman & Cheryl Hines. And I love Chris Meloni. He is perfect for the ex-cop/hitman role. Personally, I’m a bit over graphic novel and comic book adaptations. However, this one sounds a little bit amusing. I kind of want to see it. I think Meloni, just based on the info above, is a good choice for the role. Agreed. Sounds absolutely ridiculous. However, SYFY has a penchant for the ridiculous. How many shows with live ratings below a 0.20 will they renew? They are at 5, another show is heading into that zone that they already renewed, and another show is there, but they haven’t renewed it yet. yes, it sounds ridiculous but it really works great. I have watched it 3x to get all the show offers.